When it rains day after day you can lose inspiration of what to do with your kids especially if you're stuck at home waiting for a delivery. 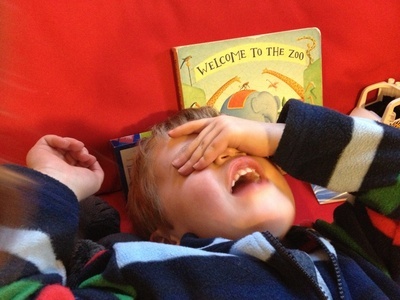 Here are five activities my two young boys enjoy. My eldest is 3.5 years and my youngest 18 months so each activity is adapted slightly for them. The best part is they can play together. There are so many ideas when it comes to getting creative with paints, paper, crayons and glue. 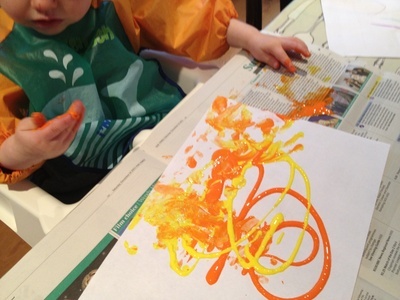 Young kids will enjoy just feeling the paint with their hands and spreading it over paper and older kids can get more involved in their creations. One activity that my youngest enjoyed when he was only 9 months old was sensory spaghetti and it proved a hit with my eldest too. 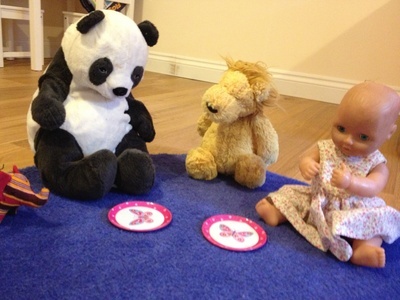 Lay out a blanket or rug and gather around all the favourite soft toys for a picnic. You could have real sandwiches, fruit and snacks if it's lunchtime or just enjoy some toy food. Why not get everyone having a sing along while you're at it. Hide and Seek is a great game to encourage number counting. My eldest is getting more inventive about where he hides and my youngest just dives under a blanket. I always pretend to look in lots of different places first before giving them lots of tickles when I find them. They never seem to get bored of this game. Draw a number of different items that you have around the house on a piece of paper. Set a timer for 10 minutes and see how many items your kids can collect. For my 18 month old, I just tell him what to find and he loves taking part too. It's a good sneaky way to encourage tidy up time too as you can get them to collect different toys and then put them back where they belong. Get your kids involved in the washing up too. It's a great lesson to learn and bubbles are fun too.